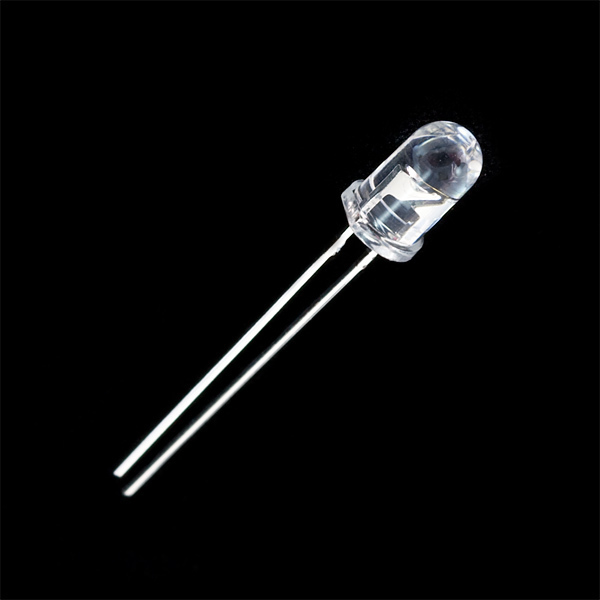 This is a very simple, clear infrared LED. These devices operate between 940-950nm and work well for generic IR systems including remote control and touch-less object sensing. Pair them with any of our IR receivers (see Related Items below). 1.5VDC forward voltage and 50mA max forward current. Hello, where can i find the IR Receiver? As I am interested in purchasing one. Thank you! These are extremely bright!...using 1 of them for a TV-turn off'er and i can turn TV's off from 400ft plus! Just a note: On the front page they listed Multi-Touch tables as a possible use for this IR LED. You actually would not want to use this for that. The 940-950nm is too long of a wavelength to be picked up well by IR cameras. Most IR cameras are most sensitive to the 850nm (or "almost red") area. But this is what you would want for a remote control. What is the Manufacturer Part Number? Its not on the datasheet. 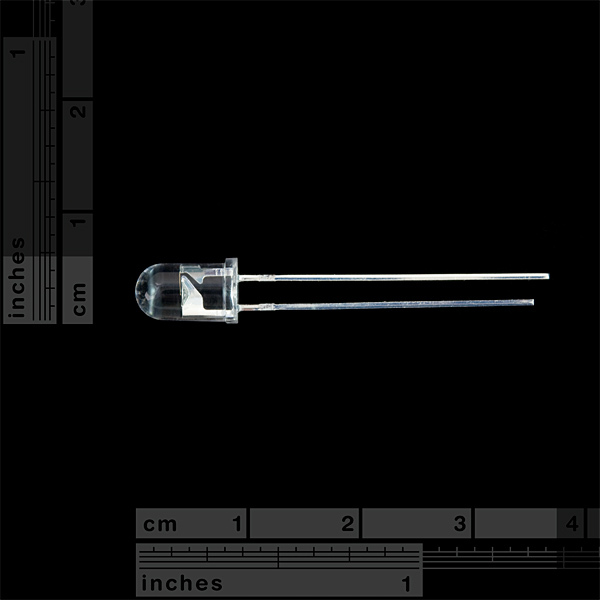 I would like to know how far the light of this LED can reach to IR-Receiver. If I can find things like 'Light intensity', can I calculate the distance? I think using these to build an 'invisible light' flashlight with my daughter would be a really fun evening science project. Anyone know if these are a viable way to illuminate a dark scene viewed through an iPhone Camera? couldnt you use a ps3 eye, OEM lense modded, with the correct bandpass filter installed? at any rate - 850 does perform a lot better - ive tested a number of ranges of IR over the past mos and ive settled on using 850nm LEDS and had some success with 780nm lasers...the 850 were out of stock from a supplier, and almost $30.00 more expensive! You asked me today in three different emails for a review, and I haven't even taken these out of the bag. Way overkill! Perfect for my project and a very reasonable price. Good quality.